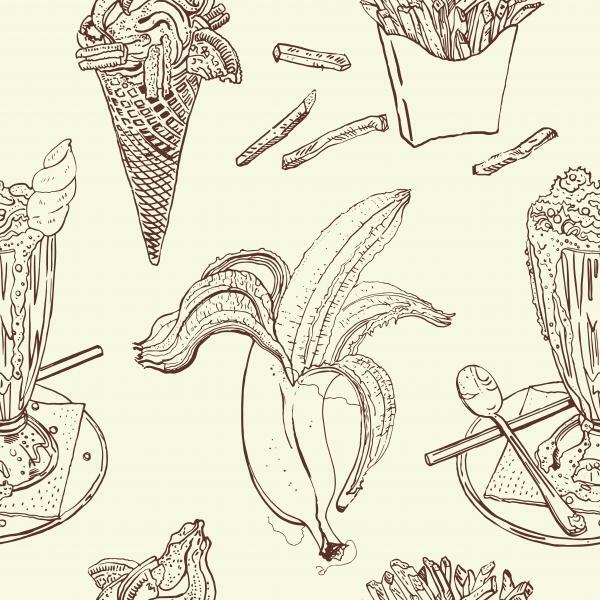 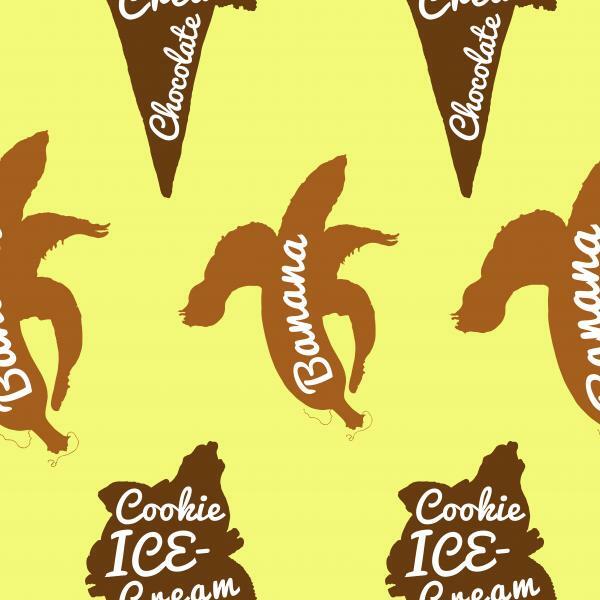 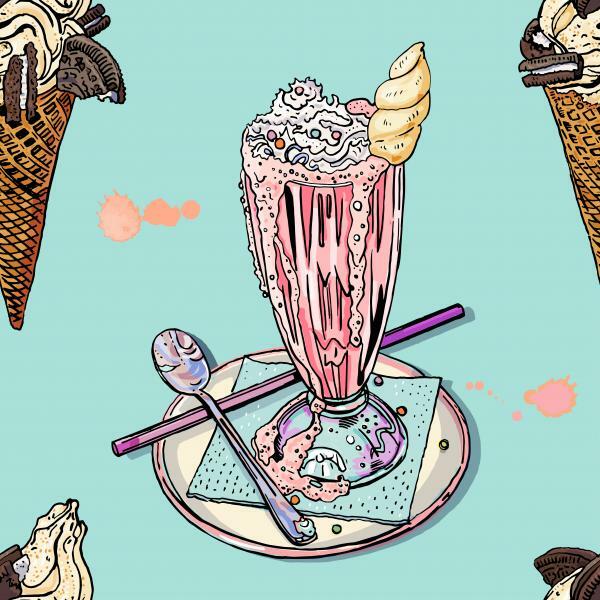 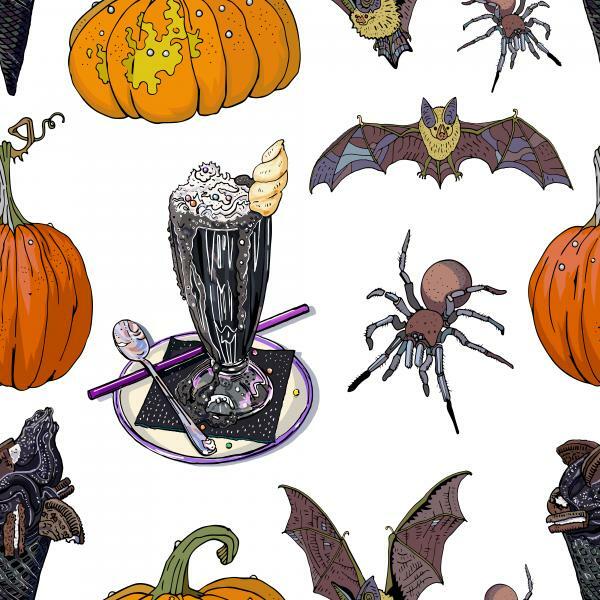 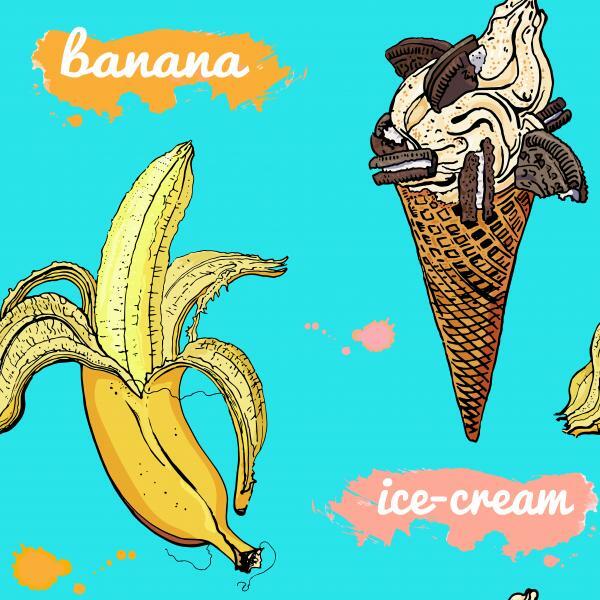 Hand-drawn summer ice cream banana retro style delicious seamless pattern. 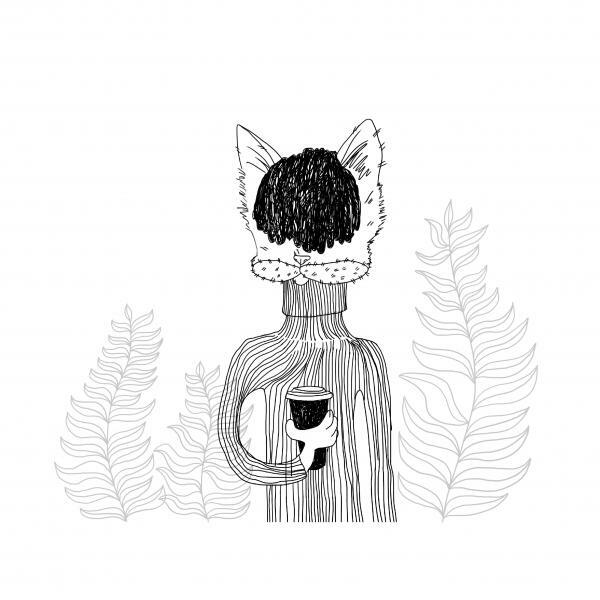 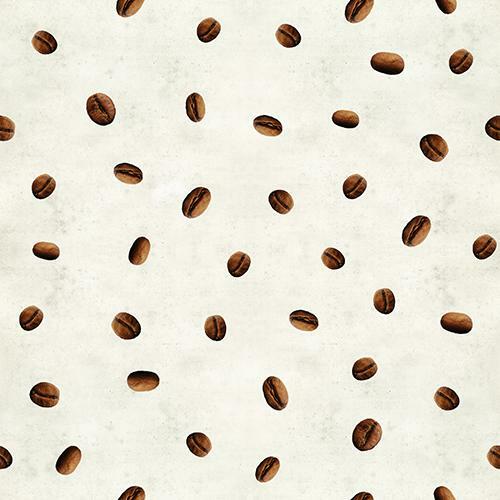 Black and white pattern with foxes drinking coffee. 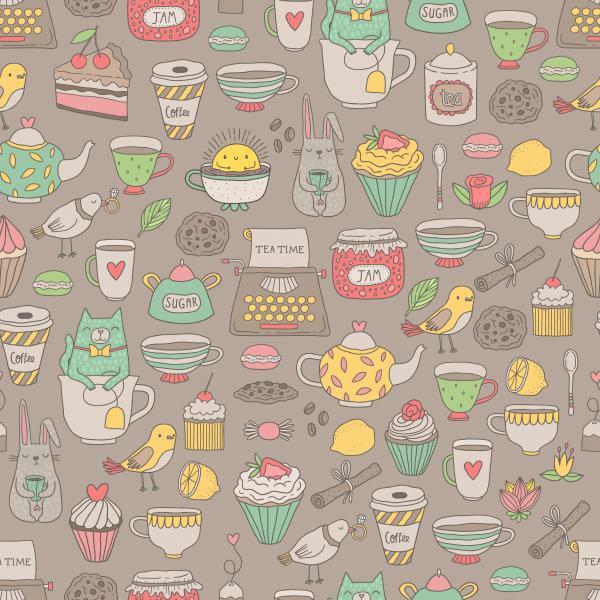 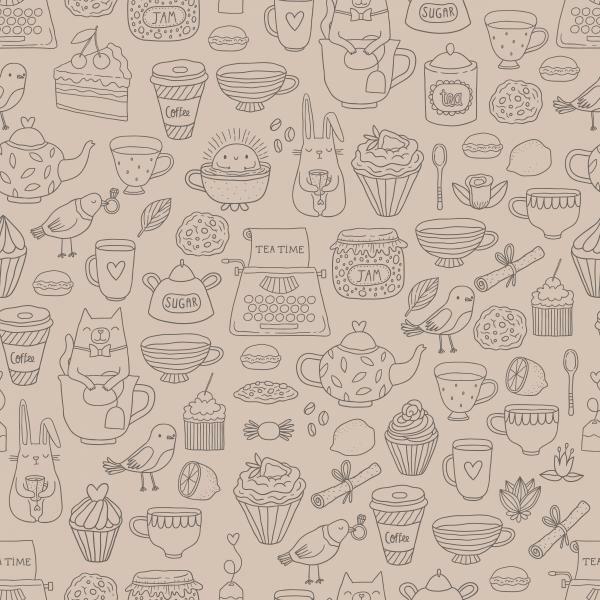 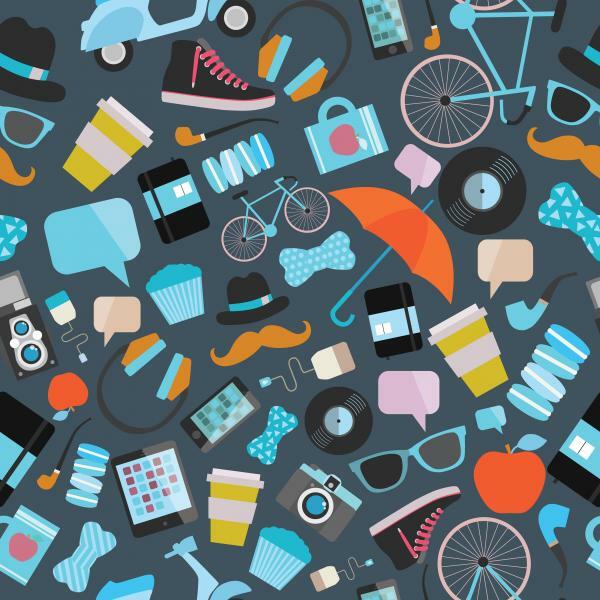 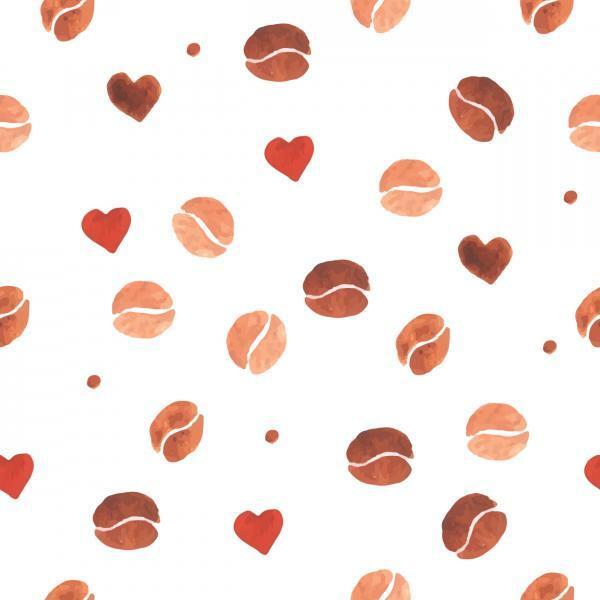 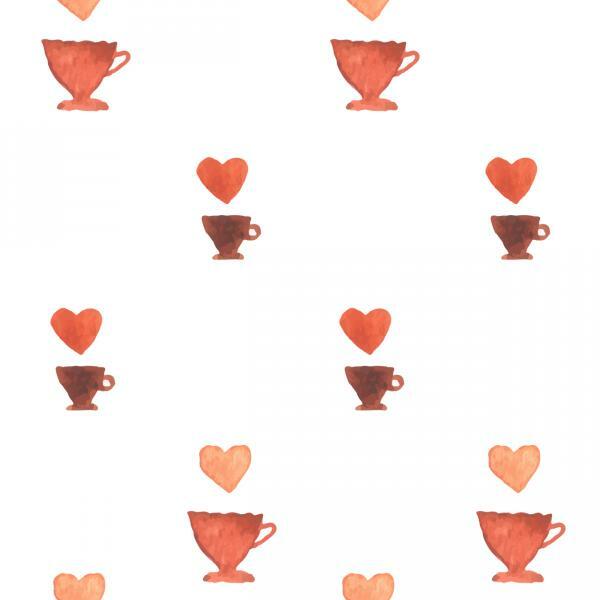 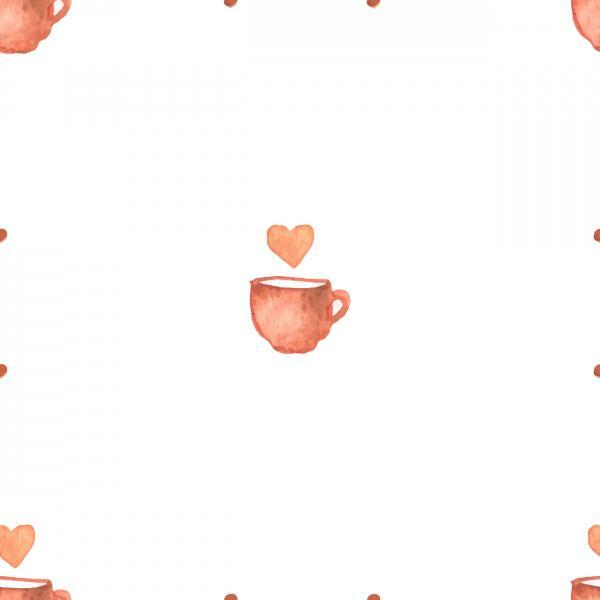 Hipster pattern with umbrella, macaroons, apple, tea, coffee, glasses, bloknote, hat, shoes, mustaches etc.